Click here to watch full tutorial! Let me start off by noting I have never really been too keen on filling in my brows to create new shape. Not that I have anything against those who have carefully crafted their brow art! 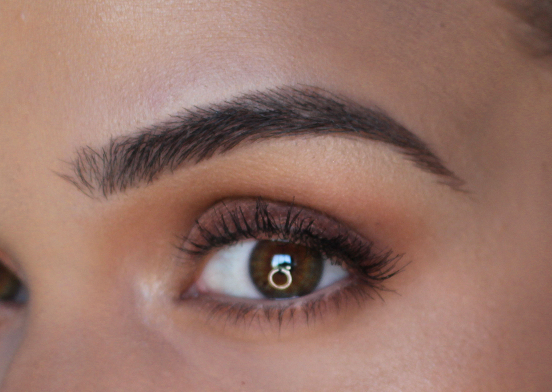 I actually admire a strong perfectly sculpted brow. However, for me and my personal preference I’ve never liked it. 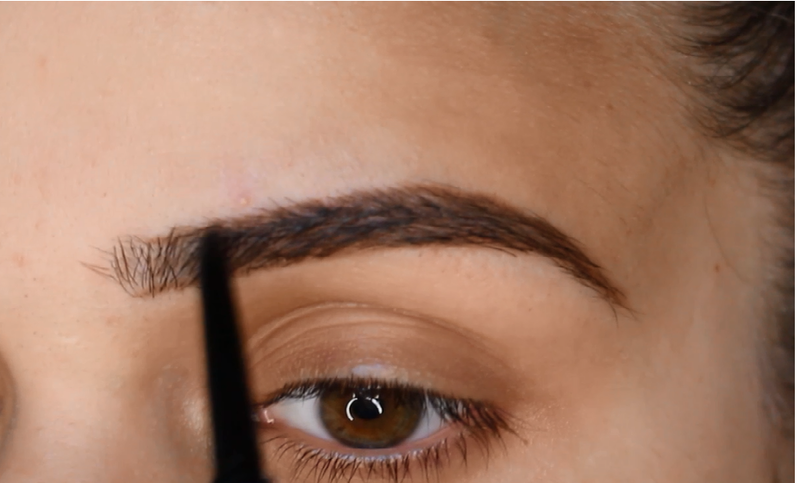 I naturally have dark thick brows that just need a bit of filling in when over plucked or in need of a cleaner look. I am a long time user of the Make Up For Ever Aqua Brow in #25 to fill in any gaps and create a cleaner look especially when my brows are in need of a good pluck. I also love how natural it look when applied with a light hand and it doesn’t give me sharpie brows. 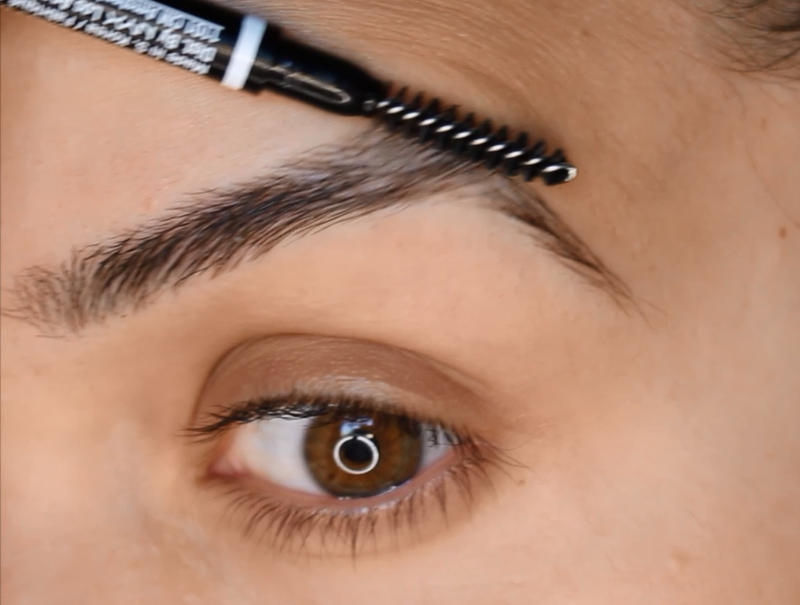 When I came across the NYX Micro Brow Pencil I was blown away into another dimension! 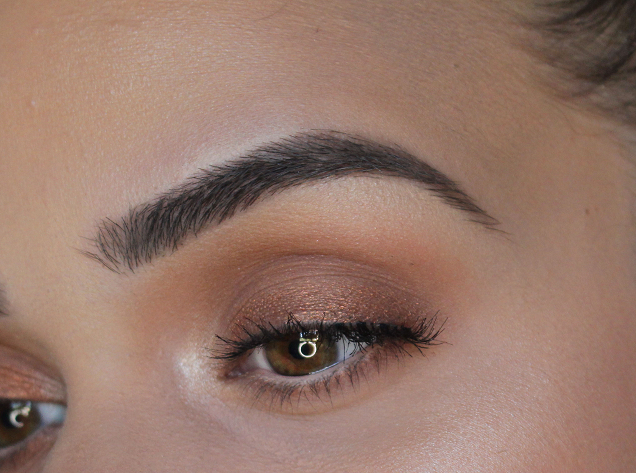 I did not think I would ever love a brow pencil. I have tried many of them and the color match was always too warm or it just looked really stark and unnatural or the pencil itself was garbage. I was surprised when this really tiny pencil with it’s tiny point could deposit the perfect amount of color for my already thick brows. It’s the product itself is stiff enough for control yet soft in application. It’s perfect. I’ve heard around town that this is a great dupe for the Anastasia Beverly Hills Brow Wiz and if it truly is, I might need to give the high end a go. I never have, because as I have mentioned, other pencils have been huge fails. Anyway. Onto the products I used and how I used it. First I exfoliated my brows and groomed the hairs into the shape I wanted them with the spoolie end of the NYX Micro Brow Pencils. 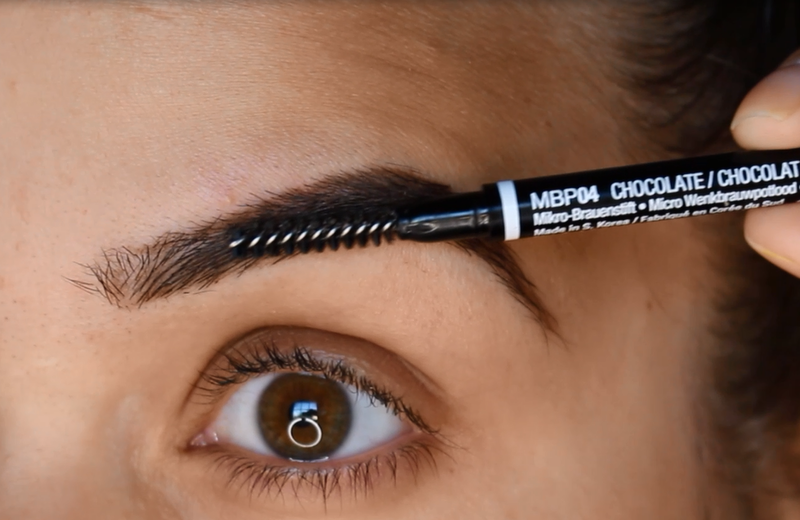 NYX Micro Brow Pencil in Chocolate: I used this color for the tail of my brow. This color is a bit warmer than I normally like but blended in with the other color I used it was barely notable and complimented the brow. With short strokes I lined exactly where the hair met the bare skin. So I did not create a new shape, I just filled in any gaps on the lower line (so to speak) of my brow. When finished, my outer brow was outlined but still looked natural. 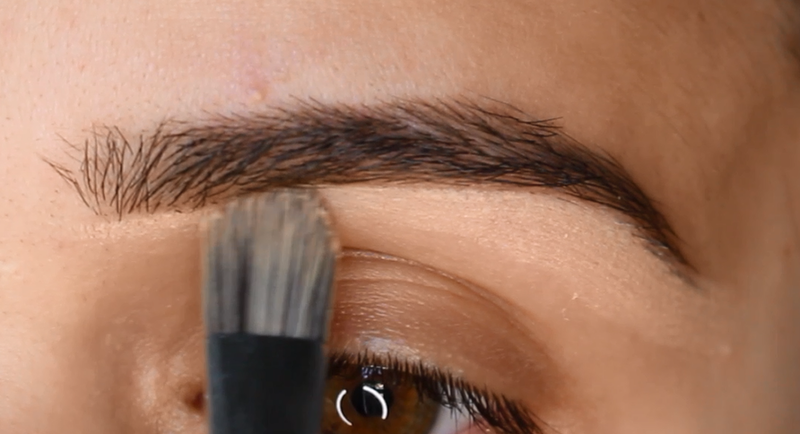 NYX Micro Brow Pencil in Ash Brown: I used this color for the inner portion of my brow in the same manner as I used Chocolate, by lining where the hair met the bare skin.I also used this to fill in my entire brow. This color was the best match for me. It wasn’t warm and it definitely had that ash color that would drive the brown into a more neutral color which is exactly what I have been looking for! The end result was clean natural brows. I didn’t create a shape or overlined my brows. I simply followed the natural curve of my own brow and filled in the gaps. Of course if you want to see a better demonstration a video is up on youtube.